California, Washington, Nevada, Texas, Oklahoma, Colorado, Kansas, Nebraska, Iowa, Missouri, Minnesota, Tennessee, Maryland, South Carolina, Georgia, Florida were represented, as well as the House of the Temple in Washington, D.C. Thank you to all who attended the 2016 3rd Biennial KSA Gathering in Omaha, Nebraska on May 20-21, 2016. We had 73 Brethren register and 13 Ladies, representing 26 Valleys and 16 states! It was wonderful meeting so many of you we've seen on Facebook, SR Chirp, Twitter, or heard from at the Leadership Workshops! Thank you for taking the time to come to the KSA Gathering in Omaha. We began with a Texas barbecue on Friday night, with remarks from Stan Dodd, 33°, Associate Director of Membership Services from the House of the Temple, as well as M.W. 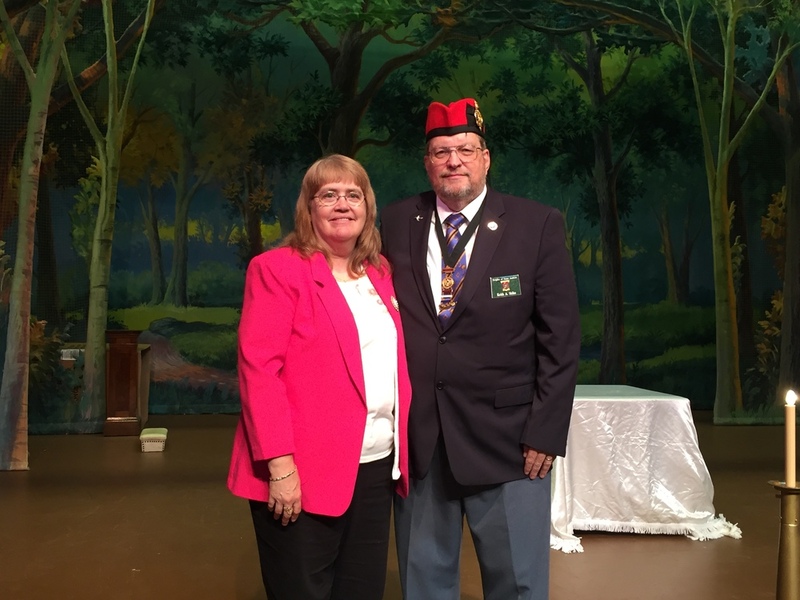 Dennis Rix, Grand Master of Masons in Nebraska. 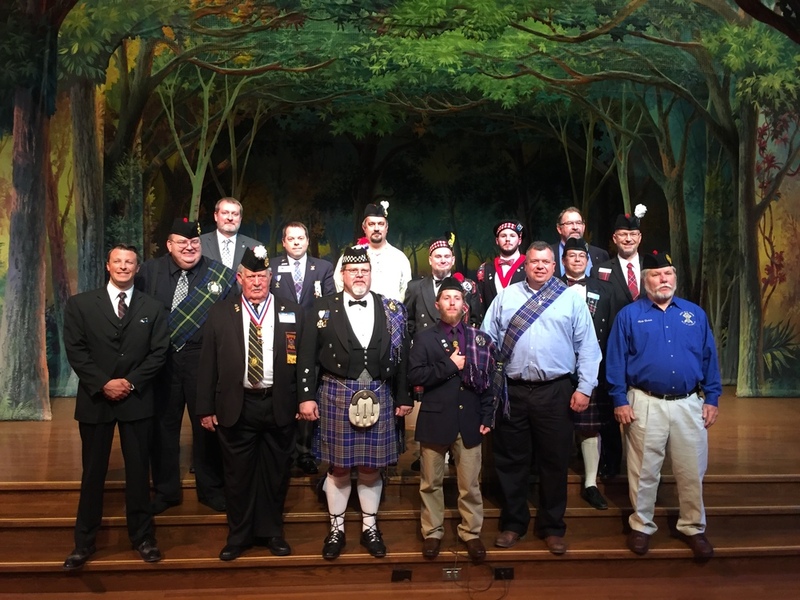 We are indebted to the Brethren from the Valley of Guthrie Knights of St. Andrew who hosted the opening ceremony on Saturday morning, with the Brethren from the Valley of Baltimore presenting the colors. Our keynote speaker was John Hinck, retired Colonel with more than 20 years service to our nation in the U.S. Army as an Apache Longbow helicopter pilot, battalion commander, and instructor. 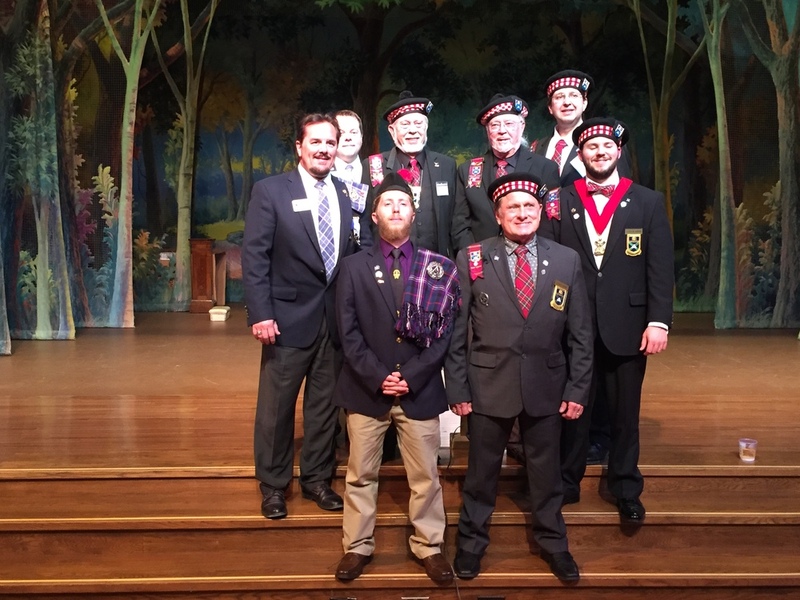 John spoke about leading with values, speaking about how his Freemasonry serves as the foundation for his life, whether as a soldier, a student, a teacher, a father or son. He challenged us to define ourselves and to provide adjectives to describe ourselves, and let those descriptions inspire those statements. John presented members with copies of his book "Strength and Honor," with stories of leadership, character, and values. Not every discussion had handouts, but we will include downloadable files for all available files on the bottom of this page. Please call the Omaha Scottish Rite at (402) 342-1300 or e-mail Micah Evans, Orient of Nebraska Development Director, at micah@SRNE.org with any questions. The 2016 KSA challenge coin given to guests is a solid, heavy coin, 2 inches wide and 1/8" thick. Knights of St. Andrew around the nation had the opportunity to vote on proposals submitted by Waco, Texas, Savannah, Georgia, San Bernadino, California, and Las Vegas, Nevada. By your votes, Waco, Texas won the vote and will host the next KSA Gathering on July 20-21, 2018. Check the Knights of St. Andrew International Gathering Facebook page for information on the KSA Gathering or e-mail Stan Parker, 32° at the Valley of Waco at stanltt@aol.com. December, 2017: Visit http://kosa.wacoscottishrite.org/ for the July 20-21, 2018 KSA Gathering website, with information on the program, speakers, and registration!